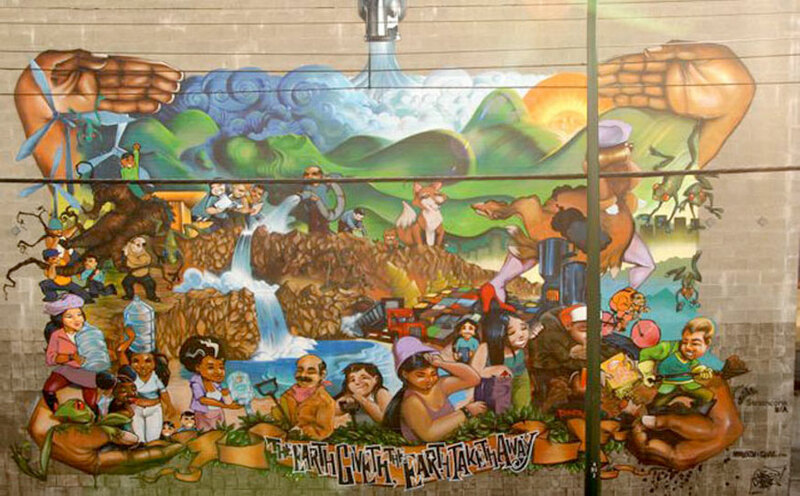 The Earth Giveth & the Earth Taketh Away Mural is a rewording from the bible (Job 1:21) with the word earth substituted for the word Lord and the tense changed from past to present. A good reminder for all to consider. We are of this Earth and one day will be recycled back into the earth. Someone wrote that each and every one of us is made up of the same ‘stuff’ and that we all carry a few atoms of everyone who has ever lived. From a simple peasant to the Buddah or Christ.